Indian bath fittings market leader Jaquar Group has expanded its footprint in south Asia with the recent acquisition of South Korean company Joeyforlife. In July this year Jaquar acquired a 51% stake in Joeyforlife, a maker of luxury shower systems, at an investment of Rs 12 crore. Joeyforlife is said to have a market valuation of Rs 20 crore. Jaquar had been sourcing shower products from Joeyforlife for some time. In particular, it had been marketing the highly popular Rain Joy and design-patented Maze Shower, both of which had been developed by the South Korean company. Soon it will introduce in India Joy Ring and Tumble Rain, two more highly innovative products developed by Joeyforlife. The South Korean investment is considered significant as it marks the first ever overseas move by an India bath fittings company, and Jaquar is poised to benefit in more ways than one. On one hand Jaquar gets into its fold the KOITA-approved (Korea Industrial Technology Association) 60,000-sft R&D and testing facility of Joeyforlife, its four advanced product design studios, and its Ansan factory for luxury showers. Established in 2001, the South Korean company has been operating as an OEM and ODM vendor to a number of global brands, and in 2007 it had set up the shower factory. It was recipient of the 2009 Good Design Award and 2011 iF Design Award, both of which are indicators of a company’s prowess in original design. This design and production muscle provides Jaquar a pipeline of innovative products, which it can offer to its discerning customers in India and maintain its lead in terms of market share. On the other hand Jaquar is poised to foray into southeast Asian markets – particularly Indonesia, Malaysia, Myanmar, Vietnam and Thailand – along with Joeyforlife. It will shortly set up an orientation centre in Seoul, the capital city of South Korea, to display the Jaquar range. The aim is to double the contribution of international business from the current 5% to 10% in the next three years. In this way the Indian company is moving ahead in its mission to emerge as one of the top global manufacturers of bath fittings. The Joeyforlife acquisition itself is expected to add Rs 200 crore to Jaquar’s total turnover. 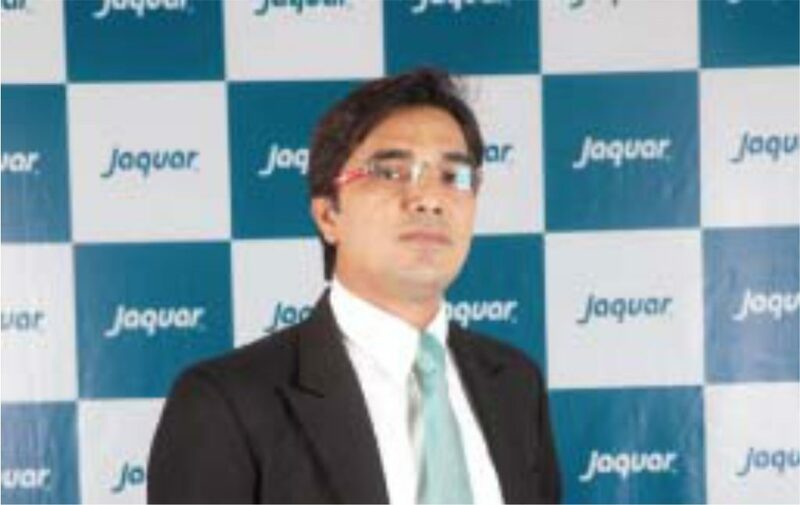 While informing about the acquisition, Jaquar’s marketing head Sandeep Shukla told Sourcing Hardware, “As part of our global expansion, we will continuously expand into various markets of Europe, Africa and ASEAN region. With Joeyforlife we are planning to launch our products in South Korea by the last quarter of 2016.” Shukla said that in 2015 Jaquar had presented at ISH Germany a global preview of some of its shower products developed in collaboration with Joeyforlife. Shukla also confirmed that the Joeyforlife management, led by its CEO Kiho Ha, would continue to run the company as an independent entity. In fact 70% of Joeyforlife’s capacity was currently dedicated to Jaquar alone. There are, however, no plans to introduce the South Korean brand in to India. highly differentiated brands, namely Artize for luxury, Jaquar for premium and Essco for the value segment. And on the back of 30% growth that it has been witnessing over the past years, the company expects to register `3,000 crore in turnover by the end of this financial year. “We are one of the fastest growing bath brands in the world with presence in 30-plus countries across Europe, Middle East, Asia-Pacific and Africa. With over 60% market share in India we are the undisputed market leaders in the organised bath fittings category. Currently we are delivering over 1.5 million bathrooms and producing over 22 million bath fittings every year. We see ourselves as an organisation that is ushering in a change in the bathing industry,” Shukla asserts.